The Western Cape Government is seeking to employ a qualified District Manager to manage the staff in the Overberg with the aim to rehabilitate, improve and maintain the natural resources in the Western Cape by promoting efficient conservation practices to all land users through management of technical services and support in engineering research, design, operations, maintenance and implementation. This position is stationed in Bredasdorp. • National Diploma in Civil Engineering or relevant qualification; • A minimum of 6 years’ post qualification technical (Engineering) experience; • A valid driver’s licence. • Experience in the following: • Project Management; • Technical design and analysis; • Research and development; • Technical report writing. • Implementation of Land Care projects; • Area wide planning; • Mentoring of interns, learners and candidate engineering technicians. • Sound knowledge of the following: o Project Management; o Technical design and analysis; o Practical application of computer-aided engineering applications; o Legal compliance; • Communication (written and verbal) skills in at least two of the three official languages of the Western Cape; • Proven computer literacy (practical application of computer-aided engineering applications); • Financial Management and People Management skills; • Ability to work under adverse field conditions. Remuneration: R 569 538 – R 670 890 per annum – Salary level 11 (all-inclusive salary package). Please Note: Employers and Recruiters may expire a job post at any time. This post expires on Thursday January 21st, 2016 2:00pm. The Western Cape Government is seeking to employ a qualified individual to provide Veterinary Services through the implementation of relevant legislation and to mitigate the risks associated with animal diseases and zoonotic diseases that impacts veterinary public health, by means of appropriate policies, norms, standards and legislation. This position is stationed in Oudtshoorn. • B.V.Sc. or BVMCh degree (or equivalent qualification); • Registration with the South African Veterinary Council as a veterinarian; • A minimum of 1 year experience; • A valid code B driver’s licence. • Monitoring of the procedures and processes at the abattoir to ensure compliance with national and international requirements for export; • Certification of exports of meat, meat products and animal products; • Implementation of remedial and control actions if export requirements are not met; • Assessment of hygiene management systems at the abattoir; • Record keeping and reporting of activities and export data as required; • Participation in provincial meat safety programmes; • Auditing of other export establishments in the province. • Working experience of the following: o Ability to work independently and in a team; o Ability to work accurately and precisely; o Ability to work under stress; o Good professional conduct; o Computer literacy (MS Word, MS Excel, MS Outlook); • Communication (written and verbal) skills in at least two of the three official languages of the Western Cape. The Department of Agriculture, Western Cape Government is looking for an individual to deliver a technical support to the State Veterinarian. The successful candidate must show ability to work accurately and precisely. This position is based in Riversdale. • A National Diploma/ B-Degree qualification (as recognised by SAQA) in Animal Health; • Compulsory registration as an Animal Health Technician with the S.A. Veterinary Council; • A valid (code B) driver’s licence. • Basic Laboratory experience; • Practical and theoretical knowledge of animal diseases. • Detection, treatment, control, prevention and eradication of animal diseases in accordance with the relevant legislation; • Extension to the general public and farmers i.r.o animal diseases and zoonoses for the promotion of animal production and improvement of animal welfare in rural communities; • Effective task planning and compiling reports; • Stock census and disease data collection and processing thereof; • Render a support service and give the necessary extension and training to resource poor emerging farmers and communities; • Support Food Safety personnel through abattoir visits and extension service at schools. • Communication (written and verbal) skills in at least two of the three languages in the Western Cape; • Skills in general procedures with respect to the handling and treatment of animals; • Computer literacy (MS Word, MS Excel; MS PowerPoint, MS Outlook); • Planning and organisational skills; • Knowledge of disease surveillance and the electronic processing of survey data; • The ability to work independently and in a team and still maintain accuracy and precision. Remuneration: R 243 747 – R 287 121 per annum (Salary Level 8). The Department of Agriculture, Western Cape Government, is seeking to employ an individual to provide general clerical support to the Regional Office. This position will be available soon and will be stationed in Bredasdorp. • Grade 12 (or equivalent qualification); • A valid (code B) driver’s licence. • Knowledge of the following: o Financial systems and student systems; o Proven administrative experience. • Provide the following services: o Reception service; o Typing service; • o Office Administration; • o Logistical support; • Perform administrative and related functions; • Ad-hoc administration and centre tasks. • Experience of the following: o Typing skills; o Record keeping; o Good planning and organising skills; • Computer literacy (MS Office and MS Access); • Communication (written and verbal) skills in at least two of the three official languages of the Western Cape Province. Please Note: Employers and Recruiters may expire a job post at any time. This post expires on Saturday January 30th, 2016 10:37am. Basic reading, writing and numerical skills. Extensive experience in designing, sewing of various garments and other linen items. Must be willing to walk to different sections within the hospital. Ability to do calculations and measurements. Ability to maintain good interpersonal skills. Ability to function within a team and work under pressure. Receive requests for measurements, designing and manufacturing from departments. Visit departments for measurements and ascertaining of job requests. Put together designs for special items to manufacture. Manufacture garments and linen items as requested by departments. Request approval from manager to carry out jobs requested by departments. Record keeping and filing of all work processed and requisitioning and maintenance of all stock needed within the sewing department. Note: Short-listed candidates will be subjected to a practical test. No payment of any kind is required when applying for this post. Previous cleaning experience would be an advantage. Ability to communicate effectively (verbal) in English. Basic knowledge of Health and Safety. Knowledge of specific cleaning processes and aids. Knowledge of basic maintenance of machinery with low level of complexity in operating it. Knowledge of basic hand tools and cleaning equipment. Ability to operate cleaning machines. Ability to perform routine tasks. Must be physically fit to perform cleaning duties. Perform cleaning related duties in offices or other facilities as determined by supervisor. Sweeping, vacuuming, window cleaning, dusting, polishing furniture and floors. Clean ablution facilities, kitchenettes and utensils, workshops, and vehicles, remove waste etc. Report any defects in the work place. Successful applicant can be expected to be a team player. Assist with the training of newly appointed cleaners and the introduction and use of equipment. 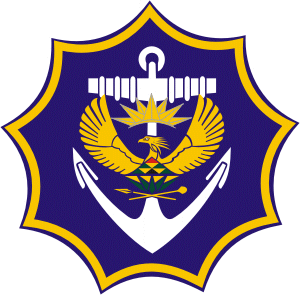 APPLICATIONS : Ms A.M. Kau-Tsoanyane, Fleet Command HQ, Private Bag X1, Simon’s Town, 7995.